We were blown away by your highlights submitted April 11-15 for our first 2019 Hot Highlight Weekend Contest. It was tough to pick just three winners, so we decided to award four! Each of our HiCast Users will receive a Rawlings Sackpack thanks to Rawlings Sporting Goods. HiCast User: @Paulmaida1 for Ryan Maida’s walk-off home run for the Long Island Hurricanse 11U in the Baseball Heaven Swing Into Spring Championship game on 4/14/19. Congratulations to our winners! Stay tuned for our next contest and keep sharing your Moments That Matter™ to our app’s HiCast Feed as it’s the source for our contest entries including our second annual 2019 Most Valuable Play Awards coming at the end of the year. Central Georgia Umpires, lead by founder John Turner, is using HiCast Sports Network technology at East Cobb Baseball Complex to improve their game. We sat it on their annual Barry Suttle Memorial Camp for umpires to learn more about how they were using our solution to train new umpires and coach more experienced umpires. 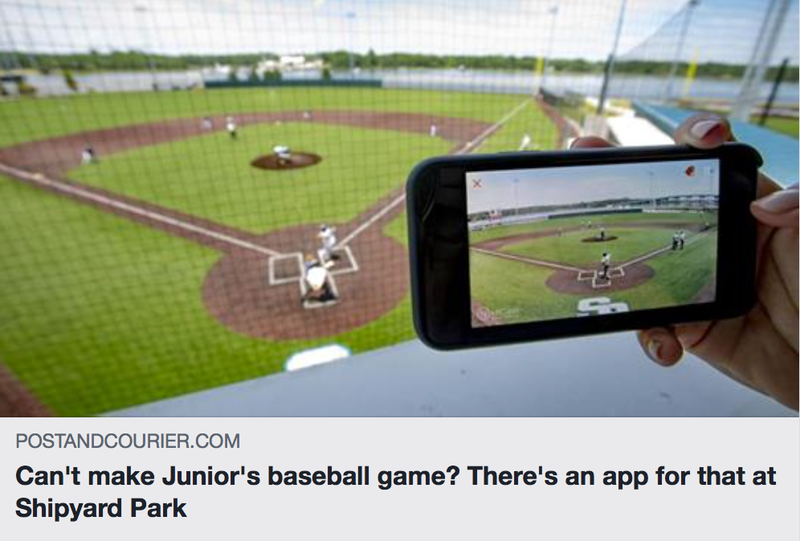 John uses our mobile app to make sure that his umpires are in place on the fields and reviews game footage as needed when tournament directors express issues or concerns. He shares highlights to visually communicate issues and positives to his team of umpires for coaching purposes. John started playing baseball at age five. His father, JP Turner, an umpire for youth and high school baseball for more than 40 years helped foster John’s appreciation and understanding of the game. At age 15, John transitioned from player to umpire, following in his father and older brother’s footsteps. He’s been an umpire for the bulk of his career and founded Central Georgia Umpires to share his love for baseball and improve the quality of umpires in Georgia. The Central Georgia Umpires team of 100 umpires officiates all games at East Cobb Baseball Complex including Perfect Game and Triple Crown tournaments, and ECB-hosted events. They also umpire southeast regional collegiate showcases. John shares that the most difficult part of being an umpire is similar to that of most leaders in that the role requires one to take full responsible for moving the game forward and communicating direction to the teams, while maintaining a good rapport with players, coaches and fans. Maritime Privateer's Catcher Jake Vera's Play at the Plate Goes Viral! SUNY Maritime College Privateer catcher Jake Vera tags the runner at home for the out in their dramatic 5-4 win against Plattsburgh State on February 24, 2019 at Baseball Heaven in Yaphank, NY, a venue covered by our HiCast Sports Network. We shared this highlight on the morning of Tuesday, February 27 following the Maritime vs. Plattsburgh State double-header on a tip from the pitcher Matt Paghidas’ mom Ellen and it’s been retweeted, reposted, and shared ever since attracting hundreds of thousands of views from fans worldwide including the MLB Network, ESPN Sports Center, CBS Sports and Sports Illustrated followers. “It’s kinda crazy, we were just watching MLB Hot Stove and saw it,” said Jake Vera, the catcher who made the play at the plate, a junior at SUNY Maritime. The Maritime Privateers typically play on their home field, but due to weather conditions during the early portion of their season, they are known to play at Baseball Heaven, a venue in our HiCast Sports Network where we cover all games. Leading up to the infamous play, the Maritime Privateers were up 5-3 in the final inning of the game. Jake’s roomate Matt Paghidas took the mound and was throwing harder than usual that day. “He blew the first two strikes by the kid and I guess the kid at second was trying to get to third. We ended up having the pick off and the throw went into center field after the ball got past our shortstop. When I saw the throw coming in (to home plate), I knew it was going to be a close play. So I just tried to jump up and make the play but obviously it was way too high. When I turned around, I just saw the ball bounce right back to me and the kid trying to get back to home plate. As I saw the throw go over my head, I just figured we’re going to have to win in a different way, but when I tagged him it was just crazy. Everyone was just going nuts and it was pretty cool.” shared Jake. Jake Vera grew up in Plainview, NY and has been play baseball for as long as he can remember. He started with T-ball and played baseball for his town team in Bethpage, New York as a child before moving on to travel teams during his teen years and then on to the collegiate level. Jake knew that the HiCast Sports Network recorded games at Baseball Heaven, but shared that he “honestly didn’t know it would go crazy like this. I can’t even put it into words right now how awesome this is – not just for me – but everyone on our team is really pumped about it. Even our coach texted in our team group chat, ‘sorry about the late practice schedule today, I was re-watching MLB network a couple of times.’ He’s pumped about it too. Overall, it’s a really awesome moment for us.” Read the Maritime College Athletics press release for more. We love seeing your Moments That Matter™ in our app’s HiCast Feed. It’s the source we check daily to see your best game highlights across our network, and where we go to seek out highlights to feature, and our contest entries and winners. We love hearing more details about your highlights and when an email comes in like this from a HiCast User and baseball dad like this one, it sure makes us happy to be doing what we’re doing and we’re proud to share it. December 10, 2018 – HiCast Sports Network in partnership with Rawlings Sporting Goods is proud to announce the grand prize winners of the HiCast Sports 2018 Awards for Youth Baseball chosen by our judge, Legendary Hall of Fame Shortstop Ozzie Smith. His comments follow each winning highlight below. 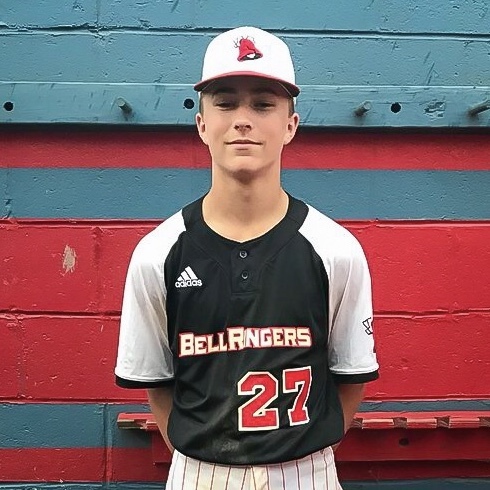 Zach Turko’s Inside-the-Park Grand Slam for Diamond Studs 15U at Diamond Nation in Flemington, NJ shared by HiCast user: eturko from NJ – “Ran hard right off the bat which forced the defense to make a play. Learn more about our 2018 HiCast Sports MVP Awards Presented by Rawlings and be sure to save your highlights in our app’s HiCast Feed throughout 2019 to be automatically entered in our contests and chances to be featured this year. On December 1, 2018 at 12:00am ET, the polls closed for the online voting phase of the HiCast Sports 2018 MVP Awards for Youth Baseball Presented by Rawlings. The Top 25 Semi-Finalists (selected from more than 4,000 eligible highlights shared in the HiCast Sports Network from venues across America) representing the Most Valuable Plays for Offensive and Defense that received the highest number of votes secured their spots as Top 10 Finalists and now move on to the judging phase of our contest. The contest is now in the hands of our judge, Legendary Hall of Fame Shortstop Ozzie Smith. 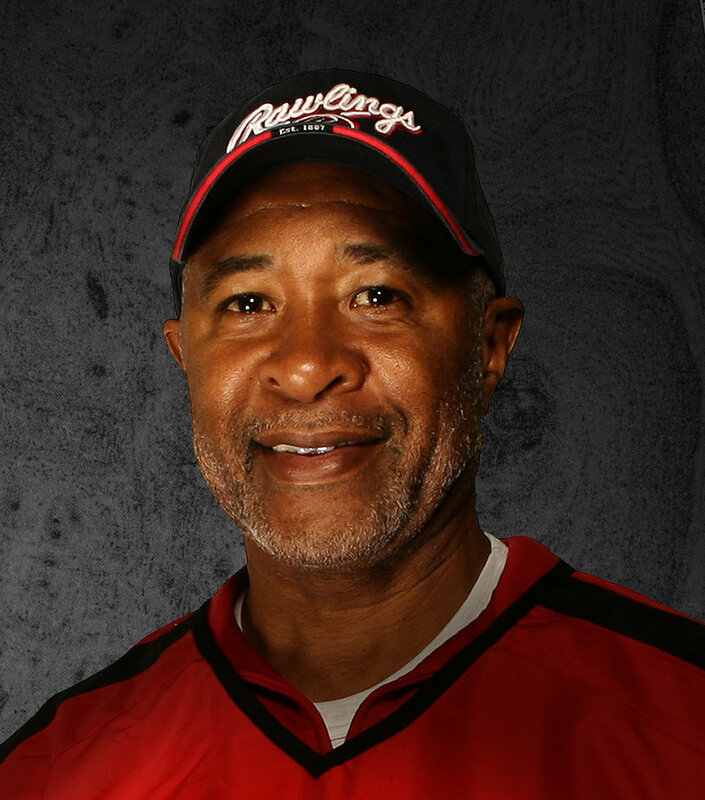 Former MLB player for the San Diego Padres and St. Louis Cardinals from 1978 to 1996, Ozzie Smith set major league records for career assists and double plays by a shortstop, as well as the National League record with 2,511 career games at the position. He won the Rawlings Gold Glove Award for play at shortstop for 13 consecutive seasons (1980–92) and was elected to the Baseball Hall of Fame in his first year of eligibility in 2002. He will select our Top 3 Best Offensive Plays and Top 3 Best Defensive Plays and we’ll announce the winners on Monday, December 10. All prizes are provided by Rawlings Sporting Goods. Offensive MVP Winners receive custom gloves and Defensive MVP Winners receive the new 2019 Quatro bats. All Finalists receive the new Mach batting helmet. Congratulations to our HiCast Sports 2018 MVP Award Finalists! Tap to view each award-winning highlight covered by the HiCast Sports Network. We’ll announced the winners right here on Monday, December 10! ATLANTA – November 19, 2018 – HiCast Sports Network, a game-changing, subscription-based social broadcast company which allows youth athletes, their coaches, families and friends to view and engage with sporting events at top venues across the nation anywhere, anytime, on any device, is proud to host the HiCast Sports 2018 MVP Awards recognizing the most valuable offensive and defensive plays in youth baseball in partnership with Rawlings. From more than 4,000 video highlight entries saved and shared by HiCast Sports mobile app users from top ballparks across the country, the HiCast Sports team selected and announced the Top 50 Semi-Finalists on November 5th. These impressive plays include a runner’s leap over the catcher to score, diving catches, first home runs, stellar base stealing, an unassisted double play, a game-winning grand slam and more. Featured youth baseball players range from age eight to 18 and reside across America. The contest is currently in its online voting phase, whereby anyone can cast a vote for one or more of their favorite plays from the 50 Semi-Finalists by November 30, 2018 at: http://www.hicastsports.com/vote. Highlights receiving the most votes secure spots among the Top 10 Finalists for Best Offensive Play and Top 10 Finalists for Best Defensive Play on December 1, 2018. Finalists will go before a professional ballplayer judge, provided by Rawlings. He will choose three winners in each category, and winners will be announced on the HiCast Sports website on December 10, 2018. For the HiCast Sports MVP Awards, Rawlings provides a powerful lineup of prizes. These include the new 2019 Quatro Bats for the three Best Offensive Play winners and custom gloves for the three Best Defensive Play winners; new Mach batting helmets for the finalists; and sackpacks for all semi-finalists. “We really value the opportunity to celebrate these young players and their Moments That Matter™. We’ve enjoyed watching and sharing their highlights in our app and in social media all year long, and felt that this contest would be a really fun and meaningful way to elevate some of their most memorable moments with a broader audience and to reward them. Teaming up with Rawlings took our initial idea for the contest to the next level, and we’re thrilled with the response we’ve had from our users and the general public’s support of these youth athletes. Tens of thousands of fans have viewed our Semi-Finalists’ highlights within the first week of the online voting phase of the contest,” said Stephanie Calabrese, HiCast Sports Network Co-Founder and Chief Brand Officer. “Youth sports is important to us. Teaming up with the HiCast Sports Network to honor these young athletes and reward their achievements on the playing field is exciting. Capturing and sharing memorable moments like these 50 Semi-Finalists’ highlights not only builds confidence for these kids, but it brings people together around a game we love. We’re happy to be a part of that,” shared Mark Kraemer, Director, Sports Marketing for Rawlings Sporting Goods. HiCast Sports Network offers an automated, turnkey video technology solution for venue owners and managers who want to provide the ultimate player and fan experience, reach more viewers, engage with fans beyond their stands through shared game highlights via social media, support coaching and player development, and better manage their facility. The app makes it easy for users to not only see the whole game, but to save, trim, zoom and share their Moments That Matter™ in clips or highlight reels. HiCast operates with a robust network of partners (venues) and promoters (sporting leagues and event organizers) with which they cultivate win-win relationships. In 2018, HiCast Sports Network users from around the world have watched more than 2 million game minutes featuring hundreds of thousands of athletes playing on more than 100 baseball and softball fields at premier venues in Delaware, Georgia, Louisiana, Missouri, New Jersey, New York, South Carolina and Texas. Find HiCast Sports online at: www.hicastsports.com and cast your vote for the HiCast Sports 2018 MVP Awards Presented by Rawlings at: www.hicastsports.com/vote. Rawlings Sporting Goods Company, Inc. is an innovative manufacturer and marketer of sporting goods worldwide. Founded in 1887, Rawlings is an authentic global sports brand, trusted by generations of athletes of all skill levels. Rawlings’ unparalleled quality, innovative engineering and expert craftsmanship are the fundamental reasons why more professional athletes, national governing bodies and sports leagues choose Rawlings. Rawlings is the Official Ball Supplier and Batting Helmet of Major League Baseball®, the official baseball of Minor League Baseball™ and the NCAA®, and the approved baseball, basketball, football and softball of the National High School Federation®. For more information, please visit Rawlings.com or by phone at (314) 819-2800. View the release on PR Wire. Catch the Cal Ripken Major70 World Series Semi-Finals Today & Tomorrow! 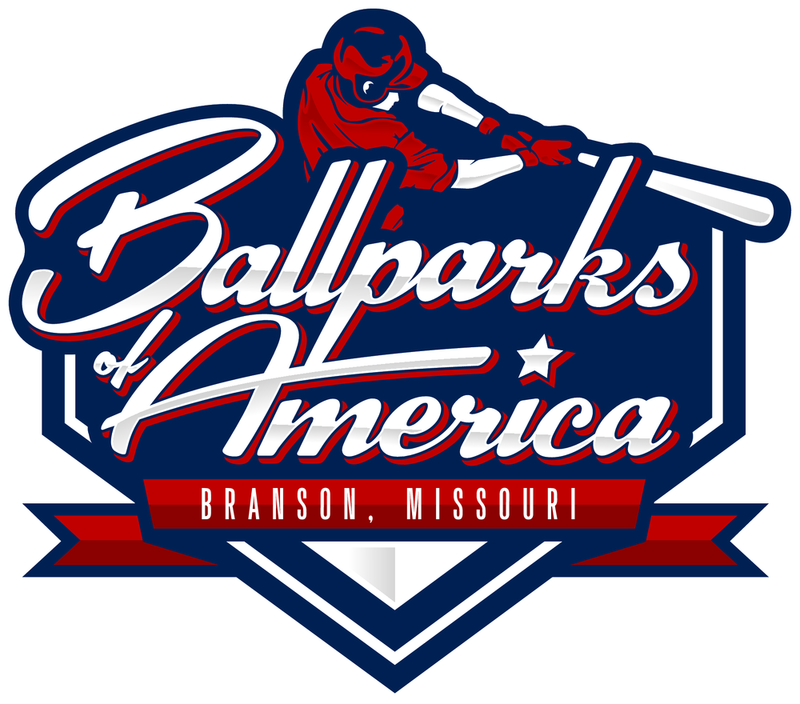 See and hear from folks at the Cal Ripken Major70 World Series at Ballparks of America in Branson, Missouri. Runtime: < 3 mins. It's been an exciting week across America and around the world for 24 teams battling it out in the Cal Ripken Major70 (12U) World Series Championship at Ballparks of America. Join us! Get the entire schedule here, or use this cheat sheet to find live Semi-Final and Championship Games in our HiCast Sports Network so you can save and share the Moments That Matter™ using our HiCast Sports App. Local game times are CDT. We're thrilled to be covering and sponsoring the 2018 Cal Ripken Major70 World Series (12U) at Ballparks of America beginning August 3rd through the 11th in Branson, Missouri where teams from around the world will come together to compete and enjoy the experience of a lifetime. In honor of this global event and our shared love for America's Favorite Pastime, we're extending a special invitation for new users to join our HiCast Sports Network Aug 3-11 and enjoy a FREE 7-Day Pass to watch the Cal Ripken World Series and games across our entire HiCast Sports Network. You can reference the CRWS Tourney Schedule on Tourney Machine. Use their app to follow teams and find out game days, times and fields, then watch the games live or anytime on-demand in our HiCast Sports Network and use our mobile app to save and share the Moments That Matter™ from the games as they happen. We'll also integrate the produced televised feed within our HiCast Sports mobile app so you've got the power to save and share highlights from the televised games too, offering you more views beyond our standard wide-angle view from behind home plate at each field at Ballparks of America. Good luck to all teams: Alabama, Australia, Bahamas, California, Canada, Connecticut, Dominican Republic, Idaho, Japan, Kentucky, Republic of Korea, Middle Atlantic, Midwest Plains, Missouri, New England, New York, New Zealand, Ohio Valley, Pacific Northwest, Pacific Southwest, Puerto Rico, Southeast, Southwest, and Virginia. 18U RBI Atlanta Braves beats RBI Montgomery 5-0 and heads to the MLB RBI World Series. When you've got an opportunity to cover the MLB RBI (Revitalizing Baseball in Inner Cities) Southeast Regional Championship Games hosted by the Atlanta Braves in your own backyard, you make it happen. We were proud to cover the Softball and Senior (18U) Baseball Championship Games at Kennesaw State University on Sunday, July 29. Winning teams from the Southeast now head to the MLB RBI World Series to compete against champions from six other regions in Minneapolis and St. Paul, Minnesota hosted by the Minnesota Twins from August 5th through the 16th. The RBI program has served approximately 2 million young athletes since its inception in 1989. It's designed to give young people from underserved and diverse communities the opportunity to play baseball and softball, while also encouraging academic achievement and success and teaching the value of teamwork. RBI currently serves young men and women in over 300 programs in approximately 200 cities worldwide. It has provided a path for many players to enter the college and professional game. MLB Clubs have drafted more than 200 RBI participants throughout the program's 30-year history, and many others have been given the opportunity for higher education through baseball and softball scholarships. There have been more than 90 RBI alumni selected between the 2013-2018 MLB Drafts. We wish all of the RBI Regional Champs the best of luck in the World Series! Today marks the start of three important national championships in play with our partners throughout our HiCast Sports Network this week. We're proud to be covering these important games so teams' family members and friends back home can share in the excitement, and players and coaches can replay and share their Moments That Matter™ after they leave the playing field. Competing in a national championship creates memories these young players and their families will cherish for a lifetime. 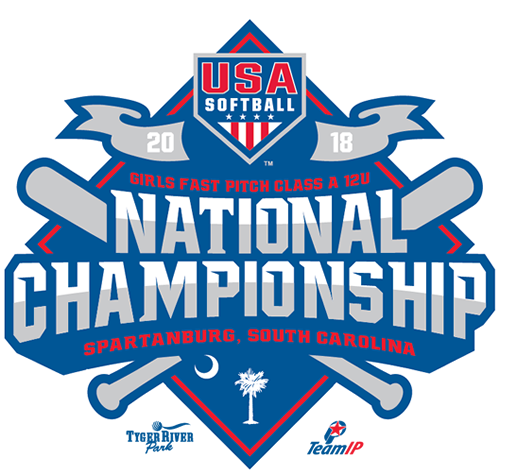 July 22 - July 29 – USA Softball Girls Fast Pitch Class A 12U National Championship at Tyger River Park in Spartanburg, SC where 41 of the best girls fast pitch 12U teams from across America will compete for the national title! July 23 - July 29 – National Youth Baseball Championship Week at Baseball Heaven in Yaphank, NY where 1,025 10U-14U teams from 26 states competed in qualifier tourneys all spring and summer long to earn the top 70 spots in this year's national matchup. Select games will be televised on CBS Sports, but we've got 'em al covered live and on-demand in our HiCast Sports Network. July 24 - 28 – Triple Crown US Club Nationals at East Cobb Baseball Complex in Marietta, GA where 1,000 athletes from 13 premier baseball organizations from around the country will compete for the crown! Select games will be televised on ESPN3, but we'll have 'em all live and on-demand in our HiCast Sports Network. We'll be sharing highlights and tagging teams from these tourneys in our HiCast Feed and in our social media feeds, so give us a follow in Instagram, Twitter and Facebook to follow along in the excitement. We're excited and getting ready for the third annual Triple Crown US Club Nationals on July 24-28, 2018 to be hosted at East Cobb Baseball Complex, our venue partner in Marietta, GA. Triple Crown Sports has offered exclusive invitations to the country's most highly skilled and rigorously organized baseball clubs to compete in this unique national event. Each club will send 4-6 teams, ages 9u-14u. The individual teams will compete in their division for the age-group title, but the final standings in all divisions will be factored into determining the Organization National Champion. 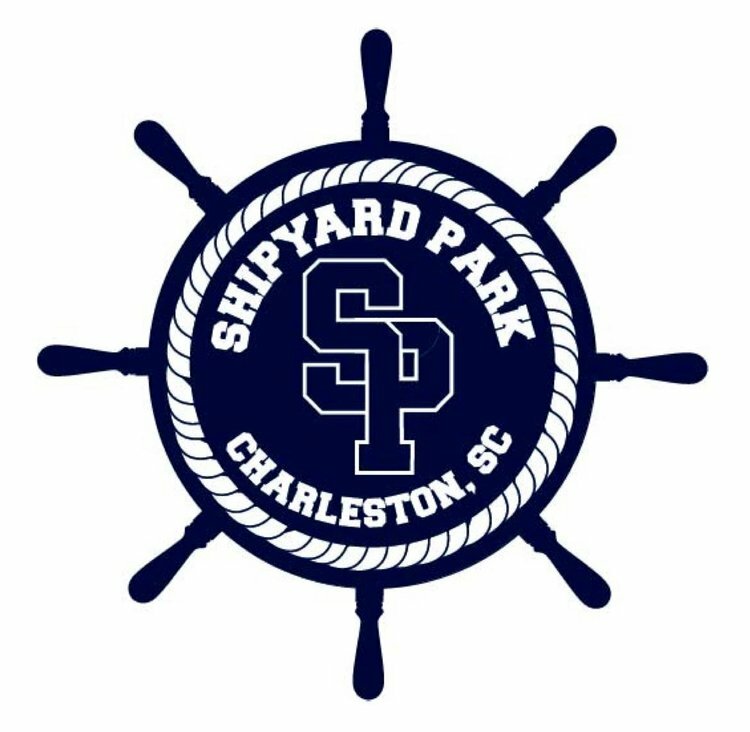 Big thanks to NBC News 2 (WCBD) Sports anchor/reporter Brianne Welch and Charleston Post & Courier Sports Reporter Jeff Hartsell for sharing stories about our partnership and coverage for The Shipyard Park is the southeast's only waterfront ballpark. Along the Wando River in Mt Pleasant, SC, you'll find teams from all over the country coming to play in tournaments and showcases organized by the ballpark and event organizers including Game Day USA, Top Gun Sports, Prep Baseball Report, Carolina Prospects, and Atlantic Coast Baseball. 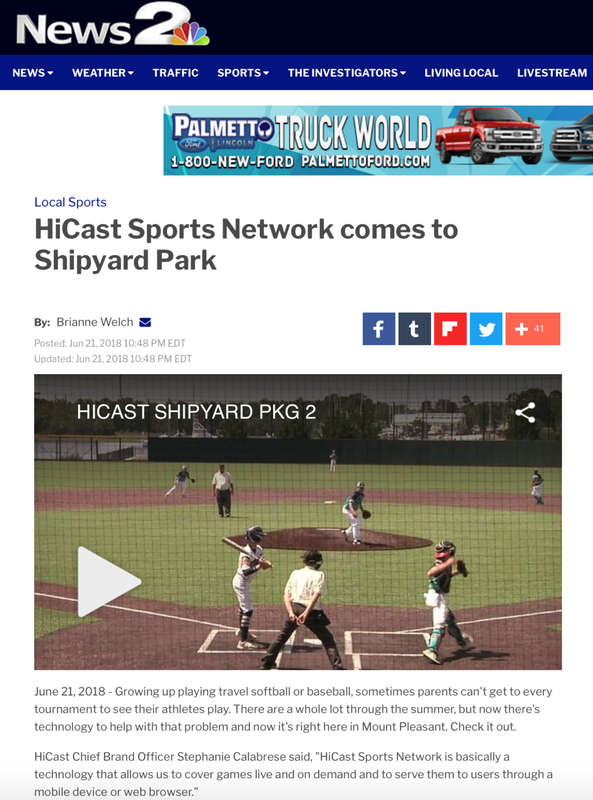 HiCast Sports Network, a game-changing, subscription-based social broadcast company which allows youth athletes, their coaches, families and friends to view sporting events at top venues across the nation anywhere, anytime, on any device, is proud to announce Shipyard Park as a new venue partner. Shipyard Park is the Southeast’s only waterfront baseball complex. The 20-acre facility includes five fields located in Charleston, South Carolina. The premier athletic facility, built by Harbor Contracting and owned by Detyens Shipyards, sits on the banks of the Wando River at the company’s old shipyard site that was shuttered in 2006. Shipyard Park includes a 17,500 square foot climate-controlled training facility containing retractable batting cages, and basketball & volleyball court capabilities. Other highlights include three youth-size fields and two collegiate-size fields and top-of-the-line AstroTurf® specifically designed for baseball play, true bounces and natural speed of the game. The fields are also to host soccer, field hockey, and lacrosse games. HiCast offers an automated, turnkey video technology solution for venue owners and managers who want to provide the ultimate player and fan experience, reach more viewers, engage with fans beyond their stands through shared game highlights via social media, support coaching and player development, and better manage their facility. The HiCast Sports Network installs and maintains a fixed, remote-monitored video camera solution that delivers games live and on-demand. Users get to experience game content not covered by traditional media outlets, and delivered through the HiCast Sports mobile app or web viewer. The app makes it easy for users to not only see the whole game, but to save, trim, zoom and share their Moments That Matter™ in the form of clips or highlight reels in the HiCast youth sports social network and beyond. “We’re bringing families and friends together around sporting events no matter where they are located. 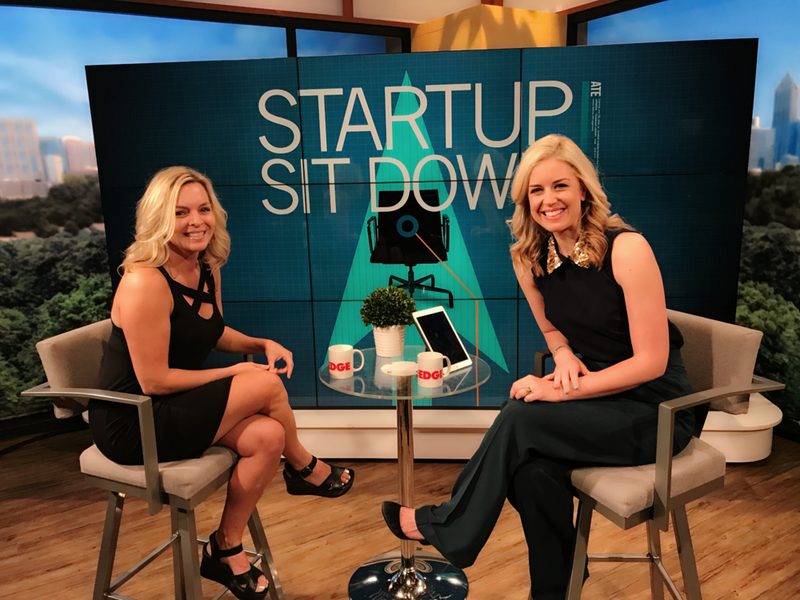 With HiCast, no one has to miss that great catch or grand slam and we now have a platform to build up our young athletes and celebrate these Moments That Matter™ together,” said Stephanie Calabrese, HiCast co-founder and chief brand officer. HiCast Sports Network operates with a robust network of partners (venues) and promoters (sporting leagues and event organizers) with which they cultivate win-win relationships and share up to 25% of net revenue. Currently, the HiCast Sports Network covers hundreds of thousands of athletes playing on more than 100 baseball and softball fields at premier venues in Delaware, Georgia, Louisiana, Missouri, New Jersey, New York, South Carolina and Texas. We picked the hottest 10 highlights shared in our HiCast Feed by HiCast Sports app users across our network. All winning highlights were tagged during 2018 Memorial Day Weekend tourneys. Congrats to our HiCast users who tagged and shared these highlights with us and all of the incredible players making these Moments That Matter™. These users and featured players all receive our limited edition HiCast Hometown Legend T-shirt! * We'll continue to add player names and team names as we get them. Share your Moments That Matter™ by Memorial Day to WIN! Let's honor and remember our American soldiers who have gone before us. We're grateful for the freedom we enjoy here in our great nation and the opportunity to come together on and off the playing field, especially this Memorial Day Weekend. Share your Memorial Day Weekend game highlights for a chance to WIN! Just tag and share your favorite highlights in our HiCast Feed within the app by Memorial Day, May 28th at 11:59pm ET and you're automatically entered to win. We'll pick our Hot 5 HiCast Highlights and you'll win our cool T-shirt! Catch the winners in our website news and in our Facebook and Instagram feeds next Wed., May 30th so give us a follow and bring your best game this weekend! Invite your biggest fans to the game! If you're playing at one of our ballparks this holiday weekend, share this post with your friends and fam so they can watch live or on-demand to support your team no matter where the weekend takes them. Just go here and tap on your ballpark link to sign up and start your FREE trial. 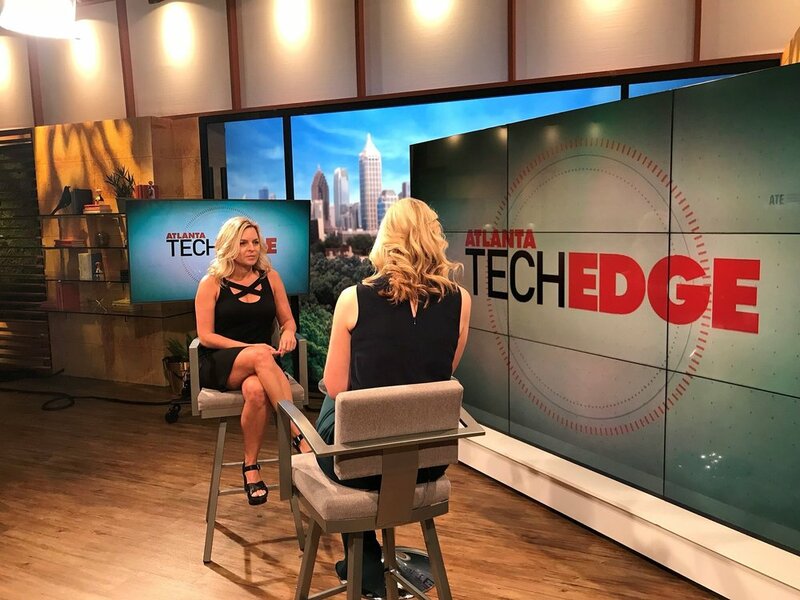 Buckhead Baseball dad and coach, Nathan Allen, shares a highlight of his son's home run captured by the HiCast Sports Network with 11Alive reporter Jennifer Leslie. 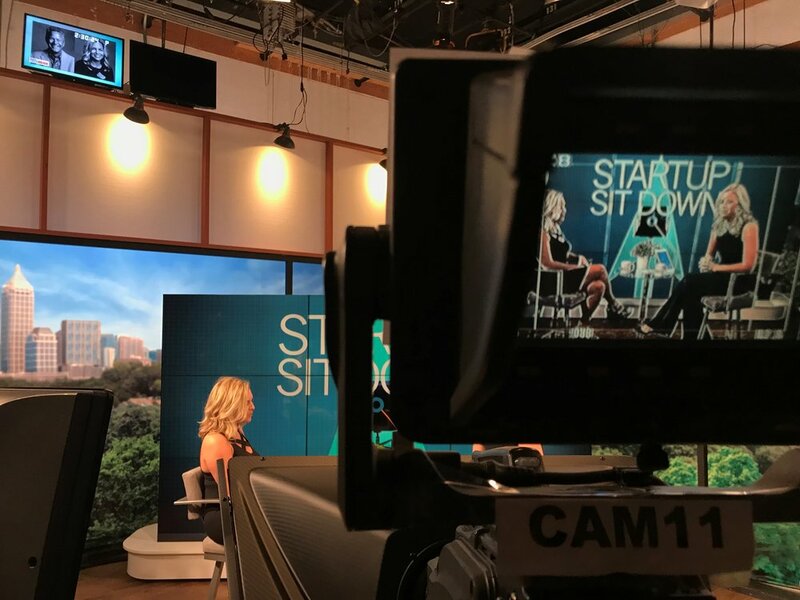 We're pretty fired up to have Stephanie Calabrese, our Co-founder and Chief Brand Officer, featured in an upcoming Startup Sit Down episode with super cool host (and #baseballmom) Cara Kneer on 11Alive's Atlanta Tech Edge. Catch the episode on Sunday, July 1 at 1:30am and 11:30am or watch online here. Each week this Spring, we'll feature three of our favorite highlights found in our HiCast Feed from select venues in our HiCast Sports Network. We'll announce winners in the HiCast Feed each week and reach out to each winning HiCast Sports user via email. Winners receive two of our Limited Edition Hometown Legend T-shirts (one for the featured athlete and one for the teammate, family member or coach who created the highlight). Let's see your highlights!